EZ Street pothole repair, cold patch can be used very successfully in patching any pothole. For most patches, simply placing the EZ Street pothole repair material in the pothole and compacting with a shovel, hand tamp, or wheel rolling with a vehicle will suffice. When possible, it is best to clean foreign debris from the pothole utilizing a broom or compressed air; however, it is not required. The application of tack coat is not necessary and is discouraged as it is "built-in". If the pothole is full of water, EZ Street pothole repair can be placed without removing the water and the material will still compact, bond, and provide adequate performance. EZ Street pothole repair is also designed for "throw and go" applications to be left for traffic to provide compaction. However, as with any product, the life expectancy of the repair is relative to the preparation and care taken in placing the material. Typically, EZ Street pothole repair material should be left higher than the surrounding hard surface in order to accommodate secondary compaction resulting from traffic flow. The expected secondary compaction is relative to the depth of the pothole. 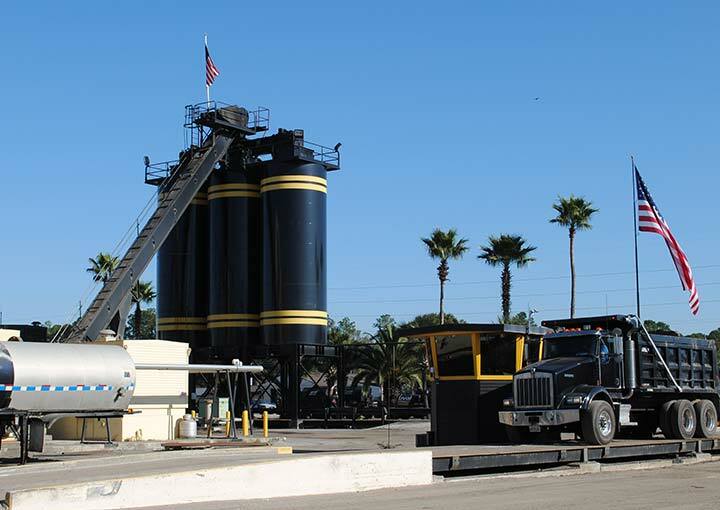 Most asphalt sealing and crack filling materials are compatible with EZ Street cold path and can be applied effectively after a brief curing period as with hot mix asphalt. Click here to visit our pothole repair case studies section. The most common repair material throughout the country is the utilization of a standard cold mix material. It is commonly known and experienced that these materials have a permanency success rate of maybe 30%. This success rate percentage is up for debate around the industry and in many situations can be higher or significantly lower. This means that 70% of the time there will be at least one repeat visit and repair to the pothole. The result of which is a minimum of 70% more patching material utilized, and more importantly, a 70% increase in the cost of labor and fleet to try and permanently repair a pothole. Maintain the integrity of the surrounding pavement. Repair potholes when they are new and small, before they get worse. Eliminate damage to traffic and minimize the potential of insurance claims. Use tax money cost effectively and appropriately. EZ Street Asphalt to the rescue! 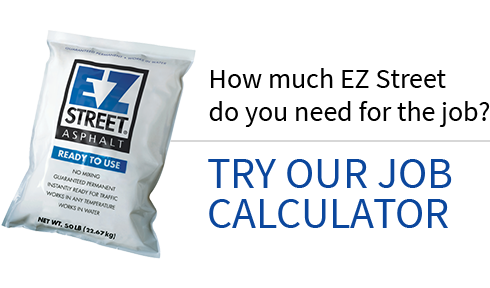 EZ Street is a high performance, polymer modified asphalt designed and produced with benefits exceeding that of regular asphalt but as easy to use as standard cold mix. EZ Street asphalt is a guaranteed permanent repair. The most significant savings that can be made immediately is the reduction of labor, machinery and fleet costs. Using the analogy of a 50% reduction in repeat pothole repairs, there will be a coinciding 50% reduction in the labor and fleet. The labor is then able to be utilized on other municipal activities, even to reducing a backlog of potholes on lower category roads. EZ Street saves time and money because work crews don’t have to return to replace a temporary patch. Costs represented here are an example only and may not represent your own structure.